Paying back student loans is one of the biggest financial challenges many Americans face. With nearly $1.3 trillion in outstanding debt —and almost 14% of borrowers in default — it’s the fastest growing type of consumer debt in the U.S. Even presidential candidates are debating affordable higher education in the 2016 campaign. But many of the 40 million Americans who currently have student loans are looking for help today. That’s where NerdWallet comes in. We’ve rolled out two new resources. 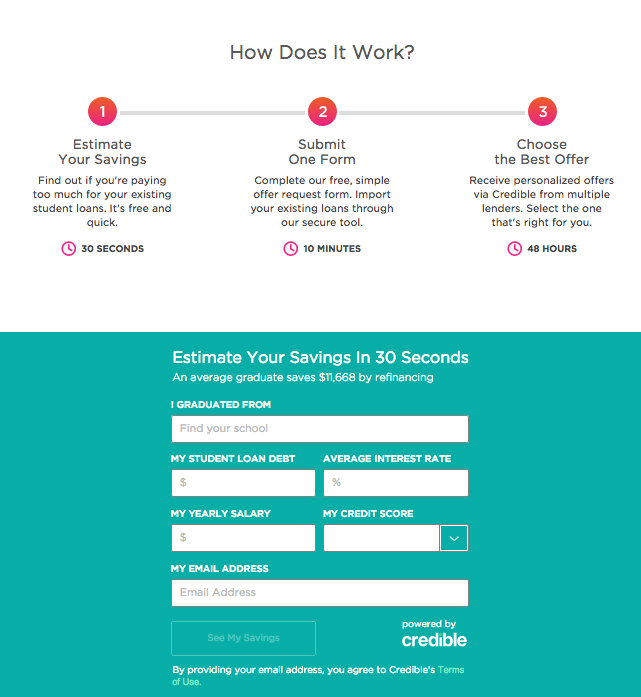 The first is our student loan refinancing marketplace, powered by our partner Credible. Our marketplace shows grads rates and terms across all major lenders — not misleading teaser quotes — so they can make smart financial decisions. We’ve also published a trove of articles, called Student Loan Central, covering everything current students and grads need to know about repaying student loans. We’re looking forward to rolling out additional resources for students and graduates. Watch for more updates.